It is a speciality which treats primarily diseases of the articulations, bone, tendons, ligaments and nerves of the members. It generally intervenes to deal with the, in particular, sporting traumatisms and the degenerative diseases like osteoarthritis. The prosthesis is recommended in the event of advanced wear of the articulation of the hip (osteoarthritis– necroses hip). The intervention is much easier has to undergo than that of the knee; often at the end of an operated month or two forgets almost that it has a prosthesis. 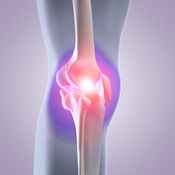 Osteoarthritis is a wear of the cartilage of the knee. The surface of friction between the femur, the tibia and the kneecap is gradually destroyed. If the pain important, is prolonged, resistant to the medical care and that the radio operator of the knee confirms the advanced wear of the articulation, the surgeon decides with his patient the installation of a total prosthesis of the knee. The prosthesis is posed with assistance of a computer which improves quality of the installation, therefore increases its lifespan. The operational continuations post are often painful. It is a surgery of point which allows the reduction and repair in the event of traumatism of the various osseous lesions, tendineuses, nervous and vascular and to treat diseases of degeneration. The hallux valgus is a deformation of the before-foot, more frequent at the woman; the big toe is deviated towards outside, is accompanied by a painful projection which poses the problem of chaussage. Some means can avoid or delay the surgery, like the choice of the shoe, avoid ponderal excess and the flat foot corrected by orthopedic soles. The pain and these effects on the chaussage are the only elements to be taken into account for an intervention. The Technique used is the percutaneous or mini surgery invasive which takes simple operational actions pursuant.